Muskegon High School is a public high school located in Muskegon, Michigan, and was the first high school in Muskegon County, Michigan. Oak Park and River Forest High School, or OPRF, is a public four-year high school located in Oak Park, Illinois, a suburb of Chicago, Illinois, in the United States. It is the only school of Oak Park and River Forest District 200. Zuppke also was a writer and a fine art painter. From 1930 to 1948, Zuppke wrote the syndicated newspaper strip Ned Brant, drawn by Walt Depew. During the 1930s, Zuppke also wrote syndicated sports-related columns. As a painter, Zuppke was known for his rugged Western landscapes. Ernest Miller Hemingway was an American journalist, novelist, and short-story writer. His economical and understated style—which he termed the iceberg theory—had a strong influence on 20th-century fiction, while his adventurous lifestyle and his public image brought him admiration from later generations. 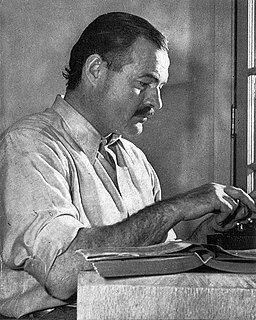 Hemingway produced most of his work between the mid-1920s and the mid-1950s, and he won the Nobel Prize in Literature in 1954. He published seven novels, six short-story collections, and two non-fiction works. Three of his novels, four short story collections, and three non-fiction works were published posthumously. Many of his works are considered classics of American literature. Bob Blackman was an American football player and coach. He served as the head football coach at the University of Denver (1953–1954), Dartmouth College (1955–1970), the University of Illinois at Urbana–Champaign (1971–1976), and Cornell University (1977–1982), compiling a career college football record of 168–112–7. He was inducted into the College Football Hall of Fame as a coach in 1987. Christian Steinmetz was an American basketball player. 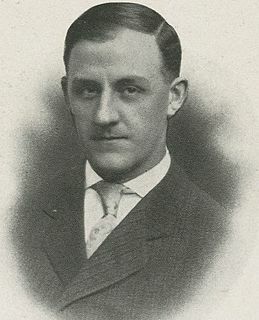 He played forward for the University of Wisconsin from 1903 to 1905. He was college basketball's leading scorer in the game's first 25 years from 1895 to 1920. He became known as the "Father of Wisconsin Basketball" and was inducted into the Basketball Hall of Fame in 1961. Ralph Robert "Curley" Jones was an American high school and college football and basketball coach. He also served as the head coach for the Chicago Bears of the National Football League (NFL) from 1930 to 1932, leading them to the 1932 NFL championship. Bernard F. "Bunny" Oakes was an American football player and coach. He served as the head football coach at the University of Montana (1931–1934), the University of Colorado at Boulder (1935–1939), the University of Wyoming (1941–1946), and Grinnell College (1947–1948), compiling a career college football record of 43–69–4. The Illinois Fighting Illini football program represents the University of Illinois in college football at the NCAA Division I Football Bowl Subdivision level. Illinois has five national championships and 15 Big Ten championships. Franklin Bart Macomber was an American football player. He played halfback and quarterback for the University of Illinois from 1914 to 1916 and helped the school to its first national football championship and consecutive undefeated seasons in 1914 and 1915. He later played professional football for the Canton Bulldogs and Youngstown Patricians. He was also the coach and owner of the Oakland Oaks in the Pacific Coast professional football league founded in 1926. He was elected to the College Football Hall of Fame in 1972. Leonard J. Umnus was an American football, basketball, and baseball coach. Maynard Davis "Doc" Morrison was an All-American football fullback and center for the University of Michigan Wolverines from 1929 to 1931. Michigan football coach Harry Kipke ranked Morrison as the finest linebacker he ever saw. "No one ever got past him," Kipke said. In 1931, he was chosen by Grantland Rice and the NEA Service as a first-team All-American at center and helped lead Michigan to a Big Ten Conference championship. The 1940 Michigan Wolverines football team represented the University of Michigan in the 1940 Big Ten Conference football season. Under third-year head coach Fritz Crisler, Michigan compiled a 7–1 record and finished the season ranked No. 3 in the final AP Poll. The team outscored opponents 196 to 34. The team's sole setback was a 7–6 loss on the road against a Minnesota team that finished the season No. 1 in the final AP Poll. 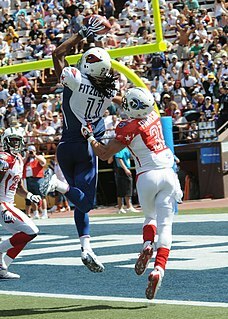 Harold Pogue was an American football player and businessman. He played quarterback and halfback for Robert Zuppke's University of Illinois football teams and was selected as a first-team All-American in 1914. He later served as a member of the University of Illinois' Board of Trustees for 17 years. Milo Frederick Sukup was an American football player and coach. He played college football for the University of Michigan from 1938 to 1940, where he was the running guard and a key blocker for Heisman Trophy winner Tom Harmon. He sustained a head injury late in his senior year that ended his football career. He was the head football coach and athletic director at Union High School in Grand Rapids, Michigan from 1942 to 1971. Robert "Bob" Reitsch was a college football player. A prominent center, he was the captain of the national champion 1927 Illinois Fighting Illini football team, chosen first-team All-American by some selectors. Reitsch was a native of Rockford. The 1915 Illinois Fighting Illini football team was an American football team that represented the University of Illinois during the 1915 college football season. In their third season under head coach Robert Zuppke, the Illini compiled a 5–0–2 record and finished as co-champions of the Western Conference. Center John W. Watson was the team captain. The 1918 Illinois Fighting Illini football team was an American football team that represented the University of Illinois during the 1918 Big Ten Conference football season. In their sixth season under head coach Robert Zuppke, the Illini compiled a 5–2 record and tied for the Big Ten Conference championship. The 1928 Illinois Fighting Illini football team was an American football team that represented the University of Illinois during the 1928 college football season. In their 16th season under head coach Robert Zuppke, the Illini compiled a 7–1 record and finished in first place in the Big Ten Conference. Tackle Albert J. Nowack was the team captain. The 1937 Illinois Fighting Illini football team was an American football team that represented the University of Illinois during the 1937 Big Ten Conference football season. In their 25th season under head coach Robert Zuppke, the Illini compiled a 3–3–2 record and finished in eighth place in the Big Ten Conference. Quarterback Jack Berner was selected as the team's most valuable player. William W. Anderson was an American football, basketball, and baseball coach. He served as the head football coach at Occidental College from 1932 to 1939. Anderson played college football at the University of Illinois from 1915 to 1916 under head coach Robert Zuppke. Anderson was born in Ohio, Illinois. He died on September 17, 1969, at the age of 77. ↑ DePew bio, Lambiek's Comiclopedia. Accessed December 10, 2011. ↑ Brichford, Maynard. Bob Zuppke: the life and football legacy of the Illinois coach (McFarland, 2009). ↑ "Bob "The Little Dutchman" Zuppke". College Football Hall of Fame . Retrieved February 17, 2010. ↑ "Sport: Football Artist". Time Magazine. October 18, 1937. ↑ "Robert Zuppke and His Artwork". University of Illinois Archives. Retrieved December 10, 2011. Brichford, Maynard. Bob Zuppke: The Life and Football Legacy of the Illinois Coach.